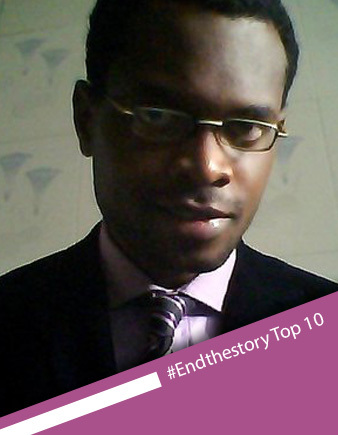 Olubunmi Familoni has been awarded First Prize in the first Seunwrites.com #EndtheStory Competition. His ENTRY 18 was selected by a majority of the judges out of the Top 10 entries judged at the final stage of the month long writing competition. Olubunmi’s entry was awarded top prize by the judges for its “strong continuity of the storyline and conclusion.” He also scored big on narration style, grammar and creative writing style. Coming in rather closely in second place, is Ogunyemi Bukola with ENTRY 9, which the judges think is a well rounded conclusion which brings in current situations that people can relate to. Okunlola Tola’s narration style and creativity on ENTRY 79 got her third place as it also “involved a social issue that is rarely brought to the open this way.” Her entry was published just before the last entry in the competition but she was still about to make it into the Top 10 through votes and Top 3 by a unanimous judges’ decision. Olubunmi Familoni will receive his star prize of a BlackBerry Playbook at Bookvine’s ReadnRock (book reading and signing event) with ‘Seun Salami, in Lagos on August 11, 2012. He will also have an evening with ‘Seun thereafter, where he will get quality writing advice and mentoring amidst the dining. The other winners will also receive their prizes at the event, while all participants who make it to the event will receive a free copy of The Son of your Father’s Concubine by ‘Seun Salami.